Once you’ve determined what you need, our logistical experts will ensure that you get it. We work with our clients to determine a feasible assembly strategy, and our sourcing network makes worldwide distribution realistic and economical. Customizable Case Packaging -We can make a case that looks like it’s specially-made to carry your product - because it is. 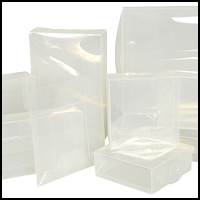 UniKeep brand polypropylene cases offer a unique, value-added packaging solution that can be customized to accommodate your needs. We’ve developed this product line with the demands of specialized kitting an assembly in mind, and that shows in each product’s adaptability. We have the capability to incorporate vacuum-formed, cardboard, or foam trays fitted to both your product and our casing to ensure a stable ride. Coupled with our broad range of sizes, styles, and printing options, our enclosure options demonstrate a commitment to serving our clients from various industries as completely as possible. Kitting & Assembly - We’re hardly daunted by assembly projects, no matter the size or complexity. 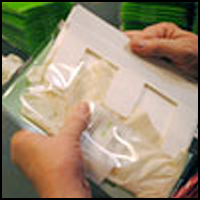 PackZen offers flexible kitting and assembly; you may choose to take care of some parts of assembly yourself, or we can usually take care of the entire process for you. We communicate with each client to determine what fulfillment schedule will be both efficient and cost-effective for the project at hand. Our Pick & Pack staff members have experience building kits ranging from a few hundred to many thousands in size. These projects sometimes consist of just packaging a few items together -- but sometimes they may be as complex as counting out a certain number of pieces, shrink-wrapping the set, and then collating out several other items (maybe even several other shrink-wrapped pieces). Our ability to undertake projects of this extent is critical to our business, and it’s a huge part of our reputation among businesses for dependability. Sourcing - PackZen is truly an established global manufacturer, and in no respect is that more evident than in our multifaceted, rock-solid supply chain network. With decades of experience both sourcing and managing supply chains in Asia, Europe, and Central and South America, PackZen has the knowledge base and logistical capability to provide the most cost-effective and time- effective material movement possible, both domestically and internationally. 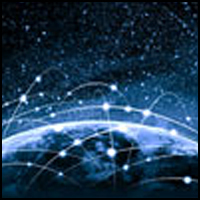 Our sourcing services include full- service global production and global supplier management. We can reduce and or contain your production and logistics costs, increase your current supplier base and production capacity without investing in new infrastructure, and evaluate and improve on your current supplier network by improving supplier accountability and metrics as well as introducing new sources of supply. Our manufacturing partners and quality control personnel in China form a strong foundation for global operations.